Inherited a Property and Thinking of Letting it Out? 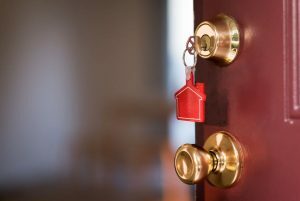 If you’ve recently inherited property and you’re not sure whether to sell it, or you’re having a hard time selling it, then another option is to let it out. This makes you an accidental landlord. Accidental landlords are landlords who, rather than definitely choosing to make money from rental property, rent out a property because of circumstances. If you can’t sell the place in good time, it’s better to rent it so you can pay the mortgage on it or spend time doing it up for a better profit. Becoming an accidental landlord can be difficult, especially if the property is a long way away. If you’ve found yourself in this position, there are things you must consider to ensure that you and your new property are protected. If the property has a mortgage on it then you must make sure that the mortgage lets you rent it out. Some lenders will grant you “consent to let” for 12 months to give you more time to find a buyer. If your lender won’t do this, then you could switch the mortgage over to a buy-to-let version. You must do this before renting the property out so that you’re not in breach of contract as this could lead to the lender asking for full payment of the loan. Your new mortgage may involve higher payments and administration fees, so factor this into your calculations. Once you’ve decided to go ahead, you’ll need landlord insurance. You need to talk to a provider – start with your existing insurer – to sort out landlord insurance. These policies don’t just cover buildings and contents, they also cover you against non-paying tenants, property damage and liability (so if a tenant is injured, your legal costs are covered). You and your tenants need to be protected, so you should make sure your prospective tenant is legally able to rent in the UK, according to the 2014 Right to Rent Act. If you fail to adhere to this regulation you could receive a large fine. You also need to place the tenant’s deposit into a government tenancy deposit scheme within 30 days of receipt and provide evidence of having done so. Your tenants need a safe home so you must have all your gas and electrical appliances and utilities checked by registered gas engineers and electricians. This must be done before anyone moves in and then you must provide your safety certificates to your tenants. Your monthly rental payment counts as income so you’ll be liable for tax on it. Since April 2017, landlords are liable for tax on the full amount of the rent aid, not just on the profits. This amount is calculated according to your tax band and you can claim 20% back as tax relief.